I’m so excited to be posting these articles on the DanceLife website in Australia. This is my first post and you could say it’s the first of many more AND a score for me for fulfilling a long-term goal I set for myself many moons ago!! The next few months I’ll be posting about creating the ‘3-B System’. ‘BELIEF, BRAND and BUZZ’ and what you can do to make this work for you and your career. Through personal experience and working with my clients, I have found that the biggest thing standing between their results and their non-results can be found between their ears. That’s right, their minds. Thoughts create beliefs, beliefs create actions and actions create results and these thoughts can either serve you or disempower you. And I believe (pun intended) that we can all be trained to choose new ones that serve us or we can put more focus on the ones we have already that work for us! Psychologists do it every day; it’s called cognitive behavioural therapy. All it takes is some awareness and attention to what is going on with your thoughts about yourself, other people and the world around you and a willingness to try new things. We all need to keep an open mind, right! In the next few posts we will be looking at leveraging the Internet and social media which has EXPLODED into a new way of marketing yourself. In this day and age if you’re not on the Internet, how will people find out about you? With more and more auditions being considered via video or You Tube it’s so important to join the technological age and get yourself digital. Like the brands of ‘COCA COLA’ and ‘APPLE’, these companies have people working around the clock, behind the scenes to work on the best ways to show the world what their company represents. Fun, freedom and intuitiveness are some of the adjectives that describe these products. YOU are the product in this case. 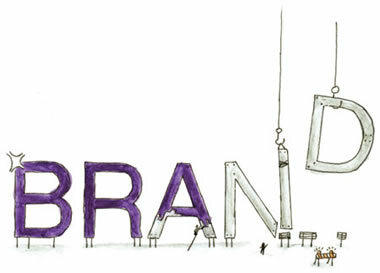 YOU are your BRAND. And just like these bigger, well known names, they come with them a reputation and a clear message of what they offer to the consumer. What are adjectives that describe your BRAND? And I’ve seen it. As soon as a client aligns with their VALUES (and we will talk about what these are in the weeks to come) and have a clear idea of what they offer, their results come about more quickly as they are more confident in what they have to give, and what impressions they want to give in a casting situation.